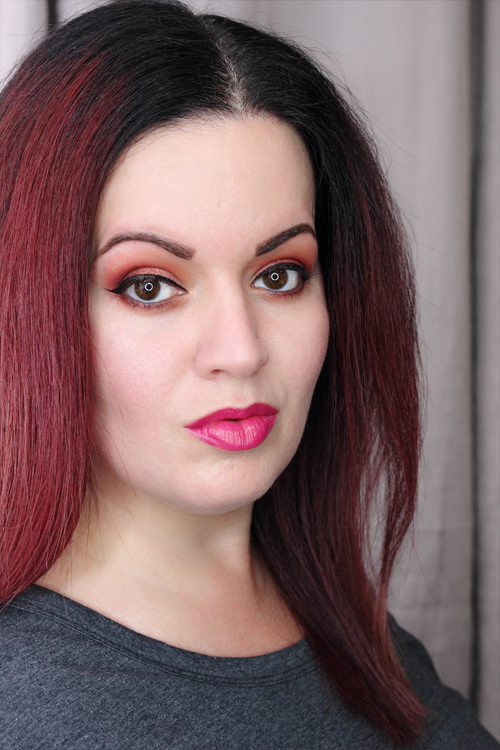 I’ve had the Rimmel London Shake It Fresh Mascara for a while now and am finally getting around to my review. I’ve actually used it quite a bit. I’ve been going back and forth between this and the Clarins Supra-Volume Mascara. I honestly don’t remember what I used before receiving these two because I’ve yet to put them down. 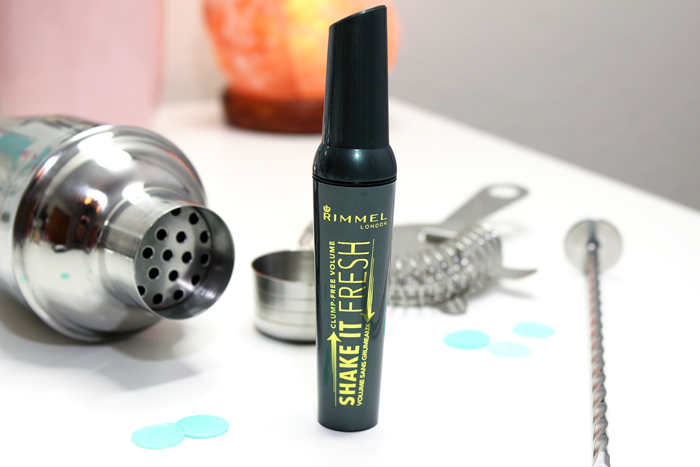 The Rimmel London Shake It Fresh Mascara uses breakthrough shake-shake technology for clump-free volume that stays fresh from first to last use. It claims to never dry out. The packaging is really cute and looks like a little shaker. It’s a bit bulky and heavy, but still one of the cutest mascaras I’ve seen. The brush was very easy to work with. I’ve heard a lot of people complain about the brush, but I didn’t have any issues with it personally. It’s a nice sized brush. You can see my close-up above. You can also see how much product it picks up. It’s really not bad! It applied nicely. It didn’t clump. In fact the brush separated my lashes and coated them evenly. Even after a 2nd application it didn’t clump! I don’t really think it gave my lashes much volume, but it did separate and lengthen them nicely. It even held a curl! I also found it to be pretty lightweight. 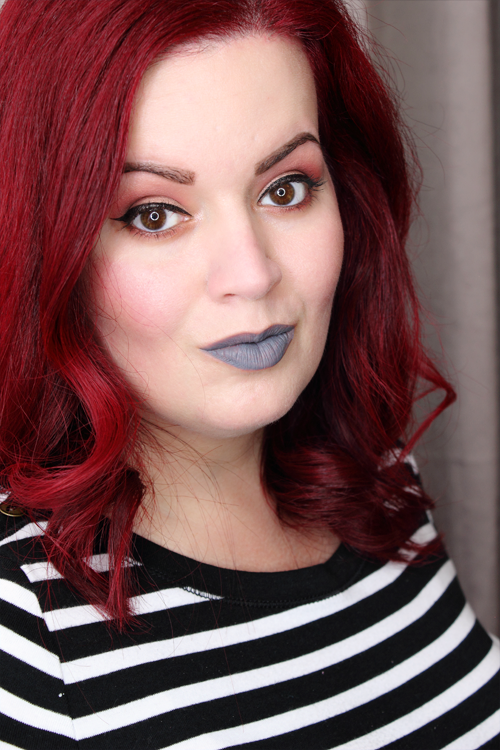 You can see the Rimmel London Shake It Fresh Mascara in the shade Extreme Black in action below. 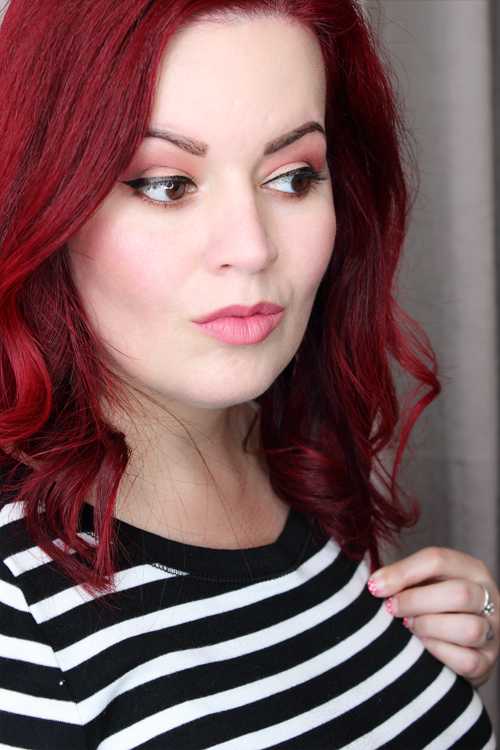 Overall, I’d have to say the Rimmel London Shake It Fresh Mascara is a winner. However, if you’re looking for LOTS of volume you might be let down. That’s really my only negative. But I don’t have a whole lot of lashes to begin with so I don’t expect miracles. 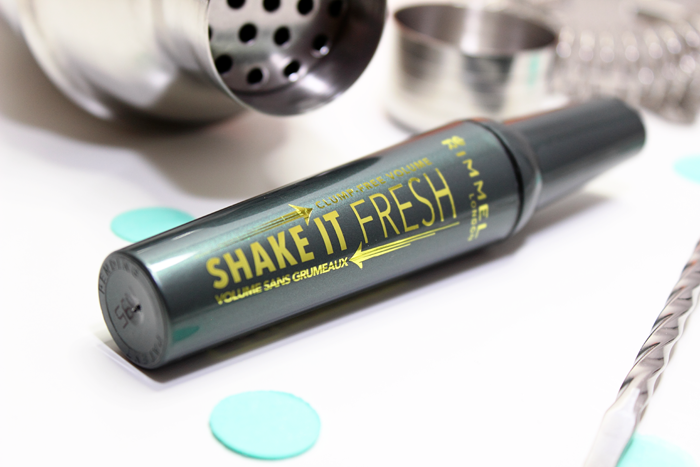 Have you tried the Rimmel London Shake It Fresh Mascara? 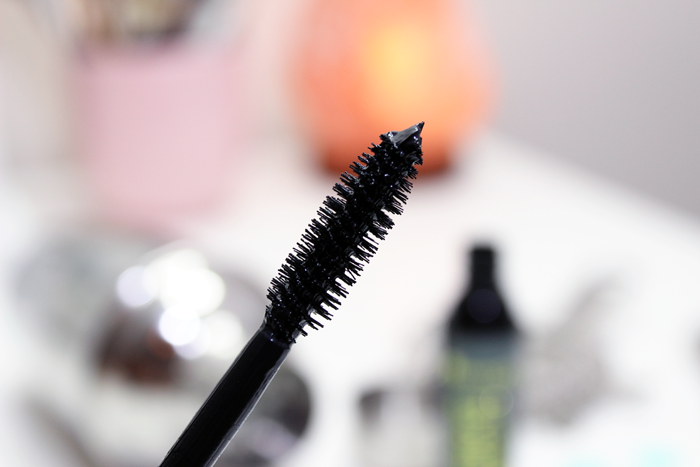 What mascara are you loving at the moment? 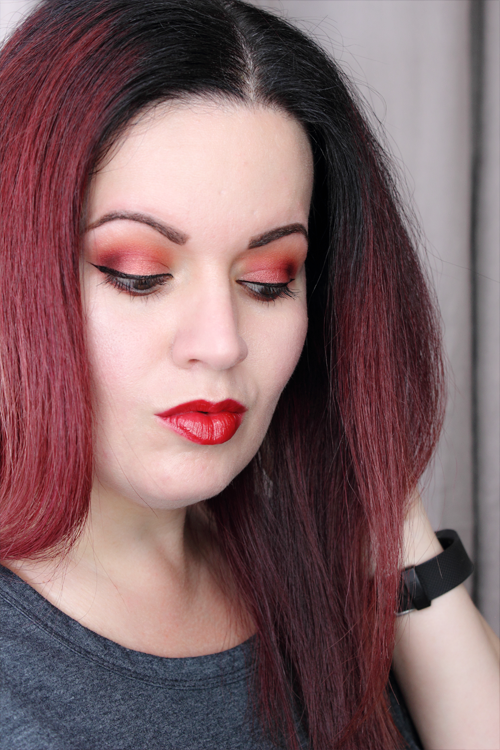 So I finally sat down and did a full face. I haven’t done more than a quick face since the move. Definitely nothing photo-worthy. 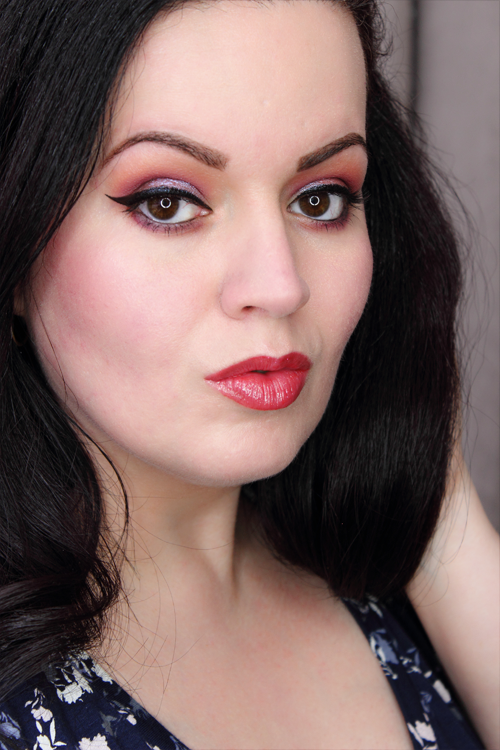 But I’ve got lots of goodies to try out and photograph so I sat down and whipped out all of the new items. They took over my entire desk! So I’m going to have to spread these out over the next few weeks. Hopefully I can make my way through everything by next month. 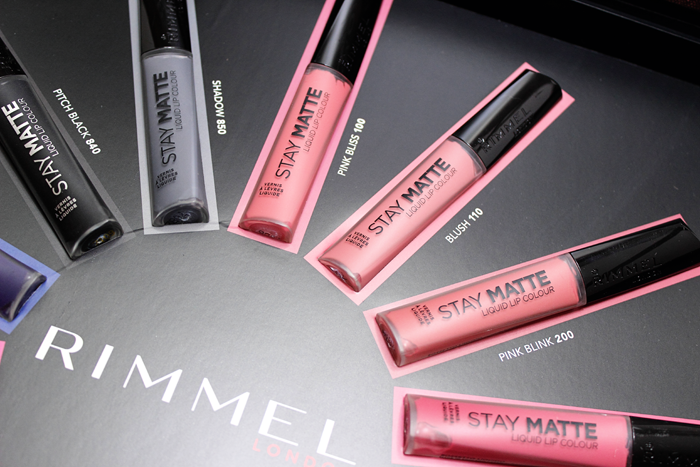 First up is Rimmel London’s new Stay Matte Liquid Lip Colour shades. There are 14 shades total. 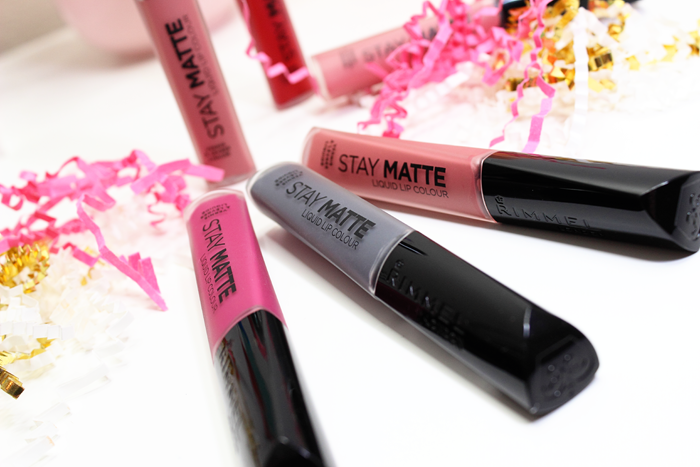 Rimmel claims bold matte lips in one swipe with up to 12 hours of kiss-proof, water-proof, and touch-proof wear. Here are my thoughts! I like the packaging. It’s a swirly, triangle, frosted, matte tube. 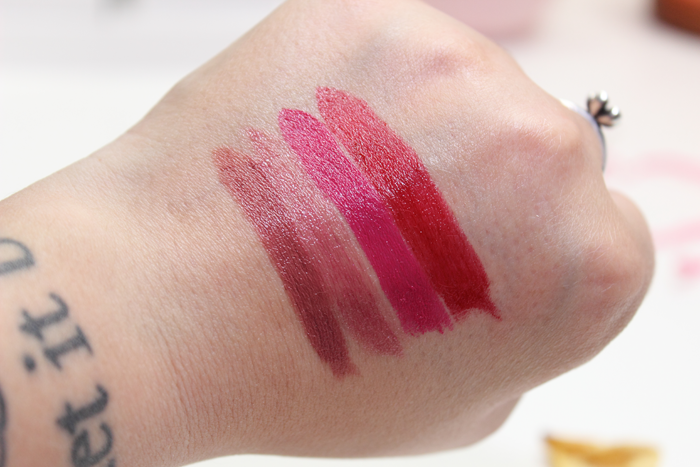 The applicator is a bit longer and flatter than other liquid lipsticks. But it still made for an easy application. Scent wise it smells a little like vanilla, but maybe a more chemical vanilla scent. I didn’t find it to be bothersome and it does go away after application. The texture is thick and kind of moussey. I feel like because of that it does take a while to fully dry down, but it does dry down. Once fully dry they do make for a comfortable wear. I’d say it was fairly lightweight. I didn’t experience any excessive drying and for the most part it was transferproof. Of course that depends on what you eat. I’d stay away from anything greasy. But that’s with any liquid lipstick. 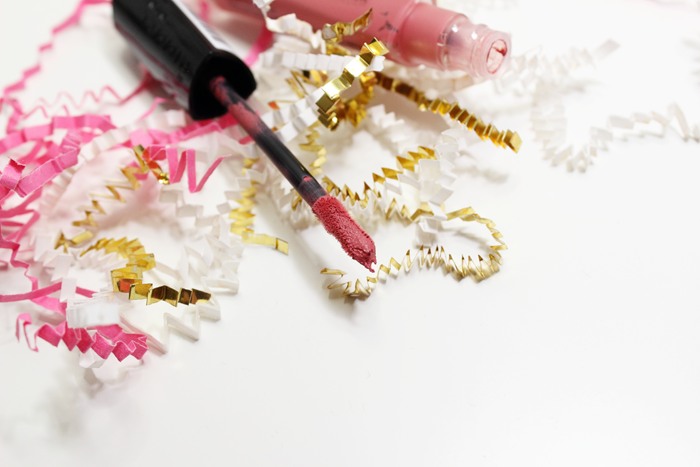 And you’re definitely going to want to prep those lips beforehand! 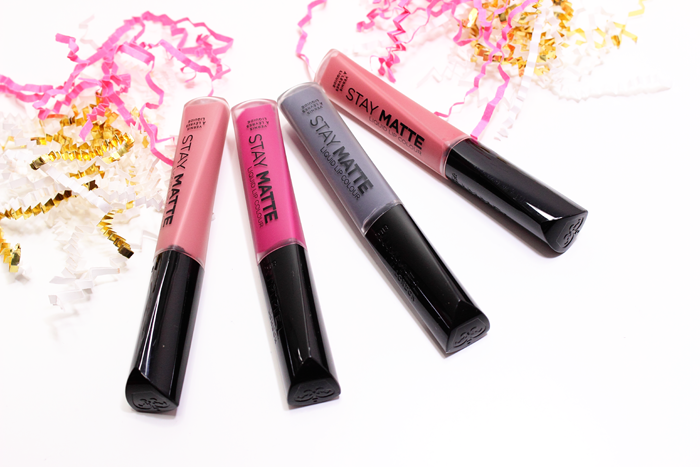 Because these babies do not play nice with dry or chapped lips. 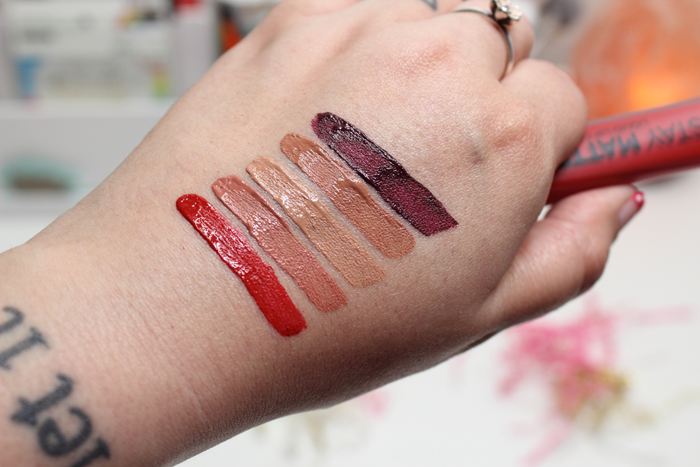 Some liquid lipsticks are forgiving, but these definitely aren’t. I can’t say much about the 12 hour claim, but the shades I tried did last well throughout the day. Which for me is about 8 hours. I really love the color selection. I love how they included a black, blue, and gray. However, these shades don’t really apply fully opaque. I found them to be muted and not as bold as they should have been. I think if someone opts for a beautiful bold like Shadow, they’re expecting a nice, rich, bold, gray shade. Not a watered down version of it. That being said I do still like Shadow. Obviously it’s so not my shade! 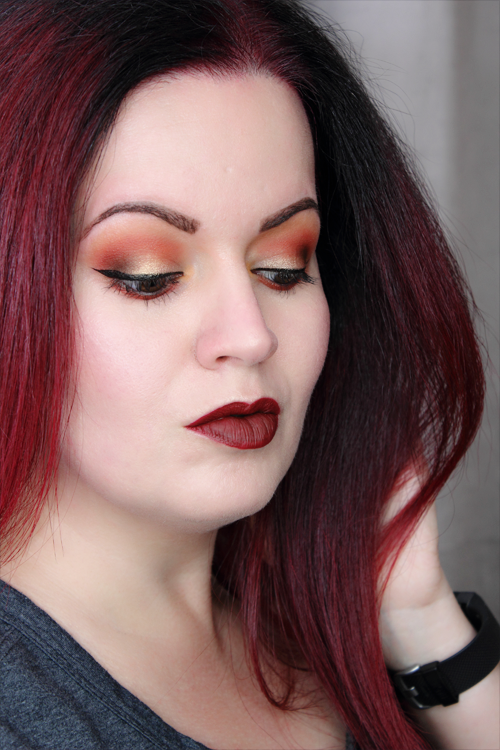 But it was really fun to experiment with and it could be a nice introduction for someone wanting to try a fun, bold shade without breaking the bank. 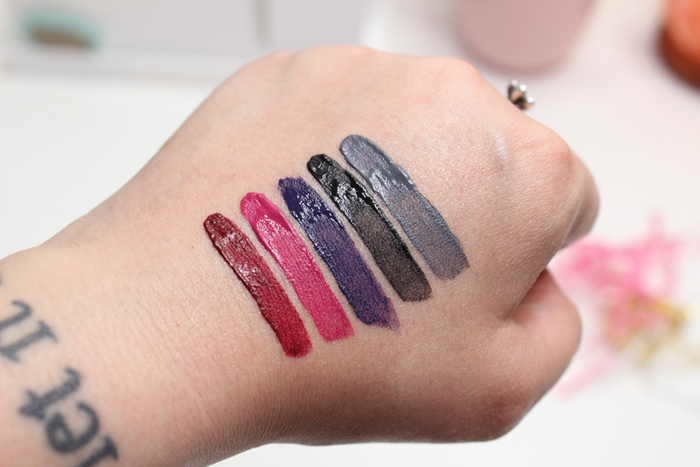 Some of the darker shades like Midnight, Pitch Black, and Blue Iris do apply patchy. I tried my best to smooth them over, but it just wasn’t happening. Plum This Show can be worked with and is actually quite beautiful with a little extra work. I think the nudes are the real winners in this selection. With the exception of Latte To Go. This one applied very streaky and wouldn’t even out. It just made for a very bad look. My favorites are Fire Starter, Heartbeat, Pink Blink, Blush, Pink Bliss, Rose & Shine, and Be My Baby. I’m going to add Shadow to this list as well. 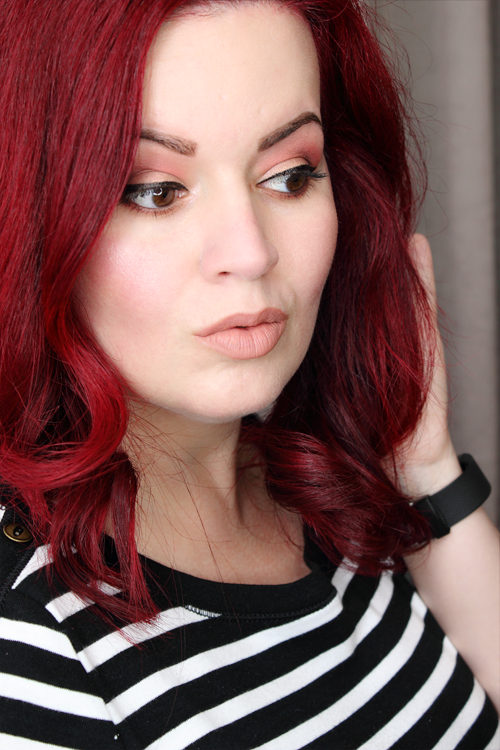 Like I said, it’s definitely not my shade, but I’m still digging it. Overall, I think it’s a really nice selection of shades. There’s definitely something for everyone. 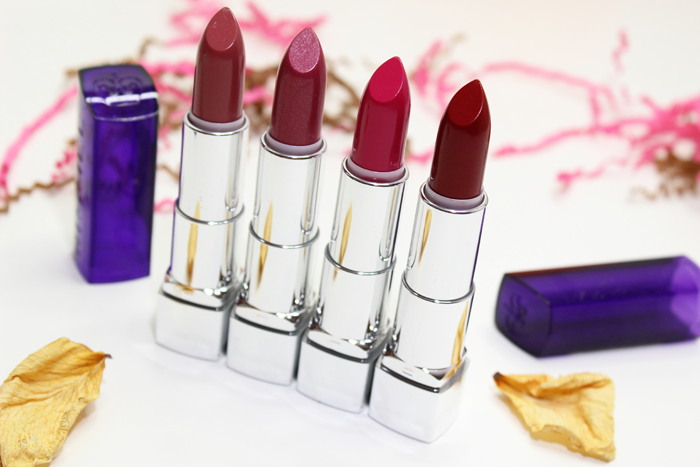 However, if you really have your heart set on the bolder shades, you might be disappointed. 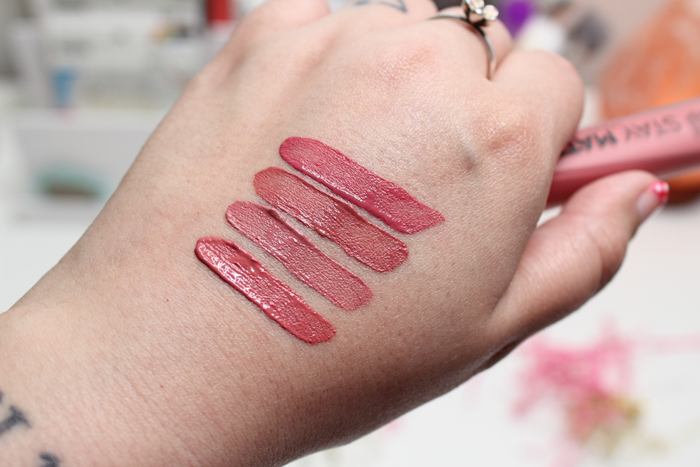 These lipsticks are Ulta.com exclusives and are $5.79 each. 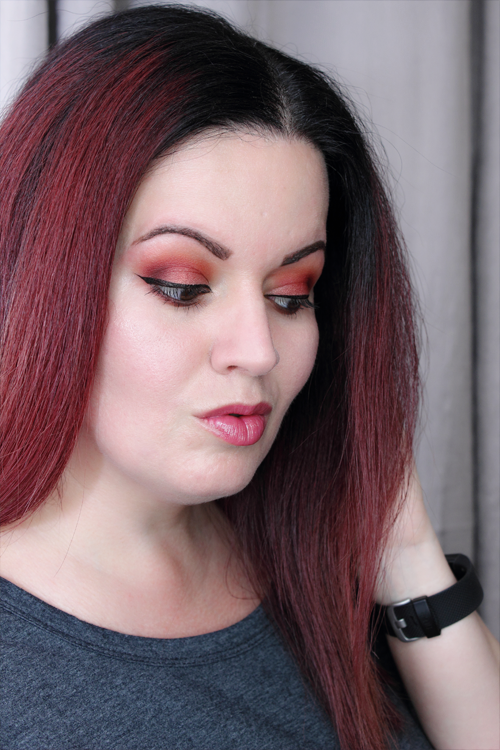 You can see a few shades in action below!